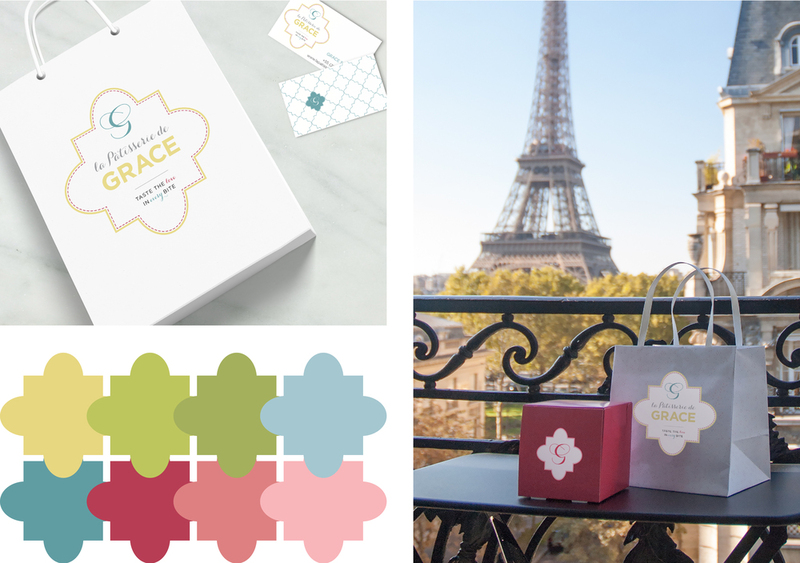 La Pâtisserie de Grace is a logo redesign for classically French-trained Pastry Chef, Grace Soloaga. In order to capture the essence of Paris, I looked to both the city of Paris and her creations for inspiration. I combined the classicism of the architecture with the bold colors of the pastries, topped it off with the chicness of Paris, et voila, La Pâtisserie de Grace was born! In order to promote her business, I photographed her masterpieces (quite a yummy job, I must admit! ), and designed her website featuring her work.